Did you witness the Baftas? What is the latest make up look? 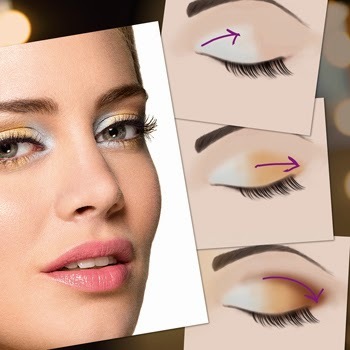 Shimmering Eyes the easy way! "Whether you're using one, two or more colors,. applying eye shadow isn't complicated as you may. think. Follow my advice and you'll nail the glittering. catwalk look you're after in no time. Apply your lightest shade first, from inside corner blending across the lid and. up towards your eyebrow bone. This should be applied to the center of your lid and blend towards the outer. corner. Don't go up as far as the eye bone. Apply just above the top lashes, sweeping it throughout the eyelid where the brow. bone hits the fold to produce shape.